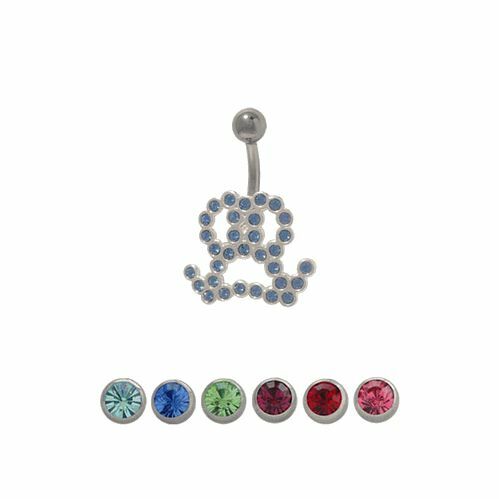 This is a .925 sterling silver male symbol with cubic zirconia jewels belly ring in your choice of light blue, dark blue, green, purple, red, or pink and a 316L high grade surgical steel shaft. The externally threaded top ball size is 5mm.This navel ring measures 14 gauge and 10mm- 3/8 of an inch. Entire piece is nickel free.